 Global eClinical Solutions Market to reach USD 11.9 billion by 2025. Increasing operational costs and regulatory requirements associated with clinical research studies, government grants to support clinical trials, and increasing R&D expenditure by pharma-biotech companies with augmented IT budgets for drug development are some of the major driving factors for the global eClinical solutions market. However, the low adoption rate in certain geographies due to a lack of awareness related to the benefits of eClinical solutions is the major factor restraining the growth of this market. The electronic data capture (EDC) and clinical data management system (CDMS) segment accounted for the largest share of the global eClinical solutions market in 2016. The electronic clinical outcome assessment segment is expected to achieve the highest CAGR during the forecast period. The increasing demand for e Diaries in clinical studies to collect patient self-reports by major pharmaceutical companies and the use of mobile and digital technologies are driving the growth of this market segment. Emerging markets including China, South Korea, Taiwan, and India are attractive destinations for outsourcing clinical trials due to the presence of a large patient population and the low operating cost of conducting clinical trials in these countries. Some of the key manufacturers involved in the market are- Oracle Corporation, Medidata Solutions, Inc, Parexel International Corporation, Bioclinica, Inc, Datatrak Internatiional, Inc, CRF Health, ERT Clinical, Merge Healthcare Incorporated, Omnicomm Systems, Inc & Maxisit. Acquisitions and effective mergers are some of the strategies adopted by the key manufacturers. New product launches and continuous technological innovations are the key strategies adopted by the major players.